Basset events are coming up shortly. This hound does not belong to me but presents many wonderful features of my favorite breed. 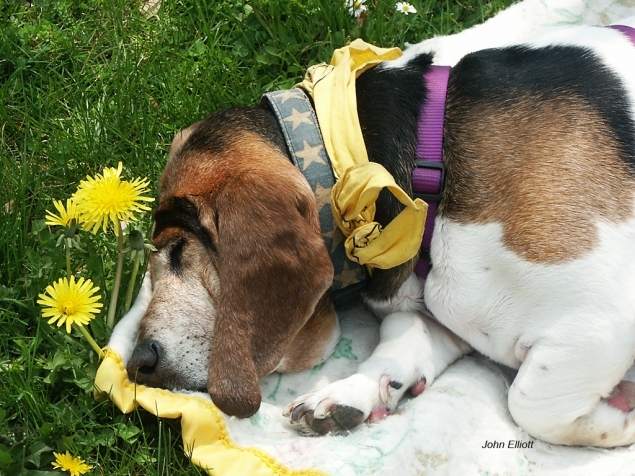 It's ironic for the nose to be adjacent to a dandelion and yet be fast asleep.